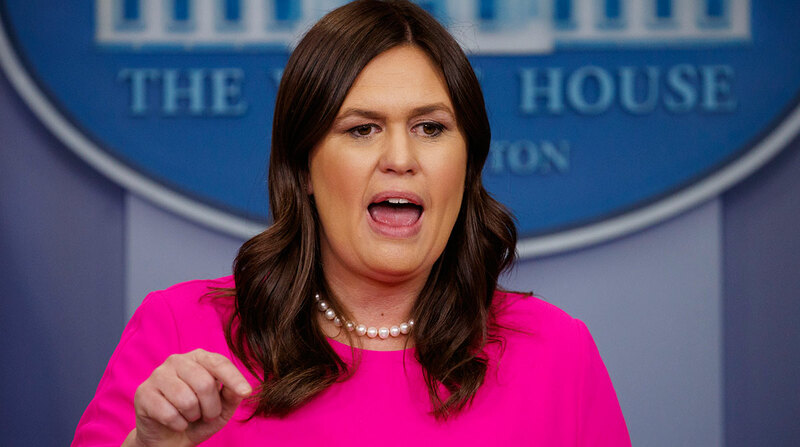 Just days before prominent infrastructure stakeholders kick off a campaign to promote regional and local highway construction needs, White House Press Secretary Sarah Sanders told reporters that President Donald Trump’s massive infrastructure package is unlikely to advance this year. Trump had indicated infrastructure would be his top legislative priority for 2018, and his policy team unveiled a 10-year, $1.5 trillion proposal on Feb. 12. The plan, which would rely heavily on private capital to achieve its top line, failed to garner strong endorsements from congressional transportation leaders. Transportation Secretary Elaine Chao, as well as other Cabinet members, touted the plan’s focus at several congressional hearings. Lawmakers, however, either criticized the plan’s reliance on private-sector funding or took issue with the vagueness exhibited by the administration regarding the plan’s federal funding component. Chao is the keynote speaker at the kickoff of Infrastructure Week on May 14 in Washington, D.C. The weeklong series of workshops and seminars hosted by the U.S. Chamber of Commerce, road builders and the freight sector is meant to generate a national conversation about the status of infrastructure projects nationwide. Last year, the American Society of Civil Engineers issued a D-plus grade for the country’s overall infrastructure. The American Road and Transportation Builders Association this year determined that more than 54,000 of the nation’s 612,000 bridges were structurally deficient.